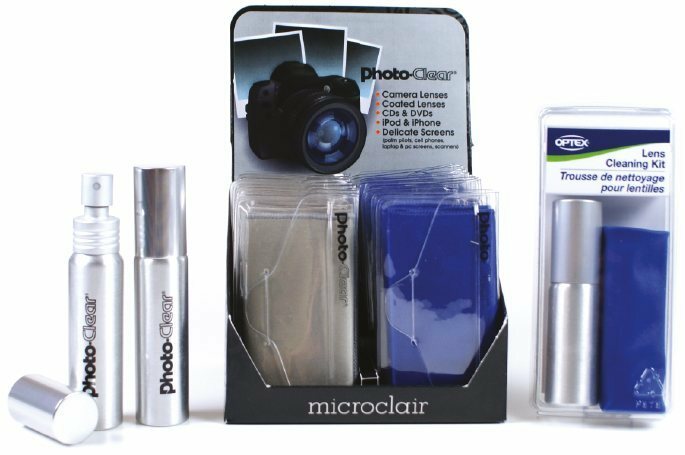 A compact lens cleaning kit for cameras, sensitive electronics, telescopes and binoculars. A 30ml (1oz) lens cleaning fluid spray. Our premium microfiber cleaning cloth soft as silk to help remove fingerprint and smudge. All components fit neatly in a clear compact plastic case perfect for keeping in purses, or travel bag.